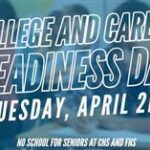 Coconino High School and Flagstaff High School have designated Tuesday, April 2nd as College and Career Readiness Day for students in grades 9, 10, and 11. Each school will be administering the Aspire exam to freshman, the Pre-ACT to sophomores, and the ACT to juniors. These exams give students a predictable measure of their academic strengths and weaknesses whether they intend to go to college or enter the work place after high school. 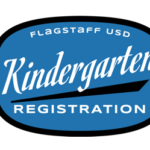 What happens when a Flagstaff elementary school student is performing at a more advanced level than their peers?Right now, there is not one answer: Each school offers various programs, clubs and resources for students, but the full academic needs of such students are often unmet.Flagstaff Unified School District has a possible solution called the Elementary Preparatory Academy, which is scheduled to begin at DeMiguel Elementary and Knoles Elementary starting this fall. 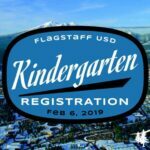 To assist families with the registration process, Flagstaff Unified School District elementary schools will be hosting Kindergarten Registration on February 13th from 4:30 p.m. to 6:30 p.m. at all District elementary schools. The event had to be rescheduled due to a weather related school closure on Wednesday, February 6, 2019. 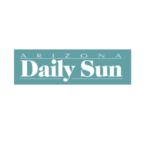 Flagstaff Unified School District had a year full of financial fluctuations to account for previously unmet needs, especially as the Red for Ed movement for improved teacher pay and school funding was in full swing throughout March and April. 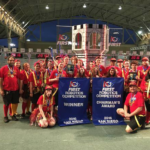 It also implemented various internal improvements for students.